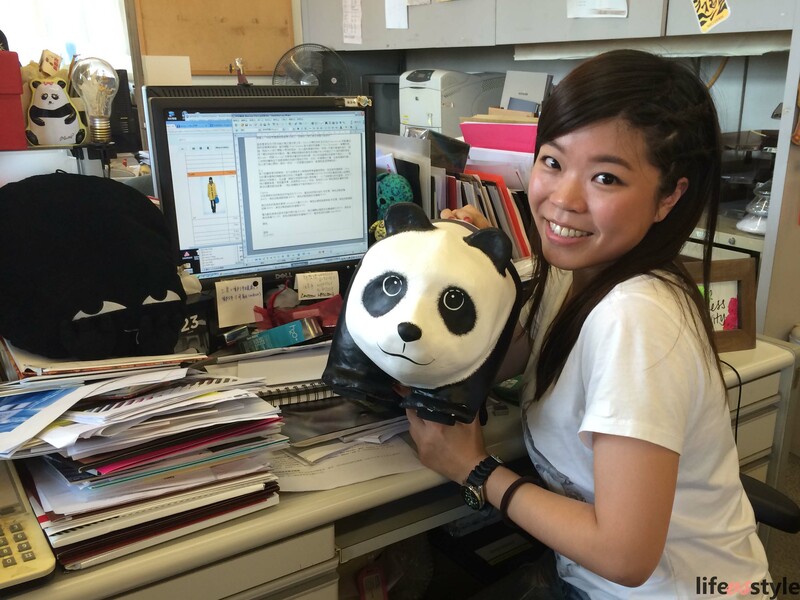 1600 pandas are the talk of the town, they visited soooo many place and finally they left their footprints on my company! 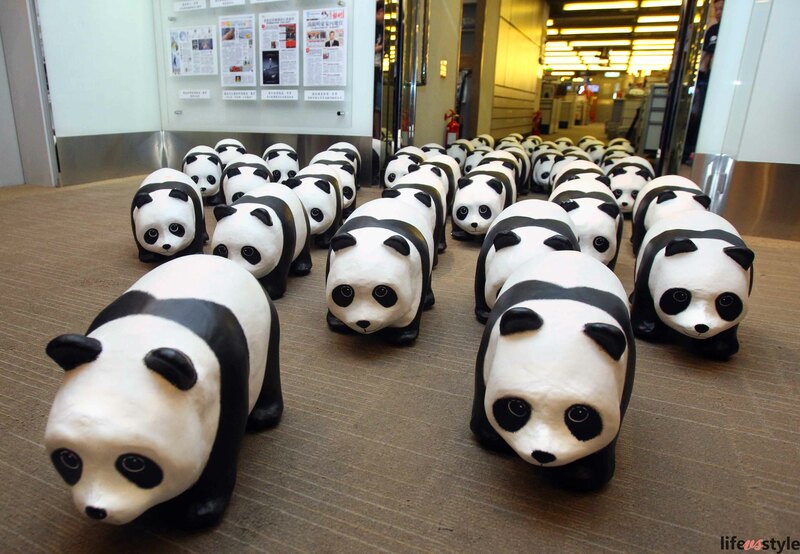 The pandas are crafted by French artist Paulo Grangeon, by using rice, water and recycled paper in the form of papier mache. Why 1600? This is the estimated number of pandas left in the wild. 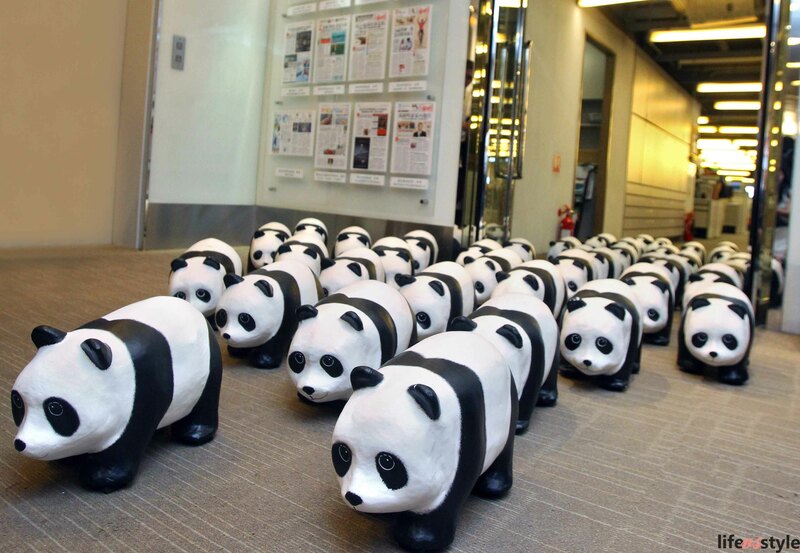 Hope these pandas not just cause a stir, but also raise awareness of saving animals, saving the world. Talking back my company visit, they just drove everyone crazy! I can never imagine that small lobby can fit in like 200 people! I am super lucky to grab one taking picturessss. By the way, fancying editors should be working in a decent place with very dedicated decor? Sorry, the fact is my office is old fashion. And my desk? as you can see…MESSY!